Travelling on board a luxury train is an extraordinary experience as the journey takes us back in the times of the royalty, luxury and romance, so that we can revive the concept of tasteful train travelling. It is no exaggeration to say that luxury train is the best way to explore some of the most stunning destinations in the world. 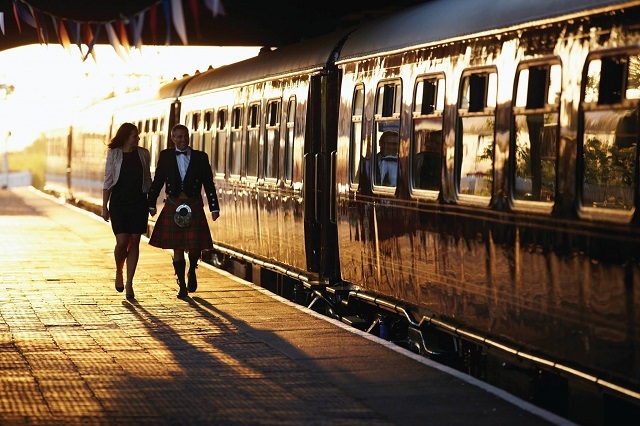 Belmond Royal Scotsman is a wonderful luxury train that takes its guests to the middle of the highlands in Scotland, offering stunning views of the surrounding pine-covered mountains. The train ensures superior personalized services to its 36 guests that it can accommodate in 14 twin, 2 double and 4 single State Cabins that are well-adorned with rich patterns and contain modern amenities such as private bathroom, and more. From the special Observation Car of the Royal Scotsman, the guests can admire breathtaking views of the scenic beauty of Scottish Highlands. Just settle yourself on the cushy armchair and watch the glens, villages and castles, pass by. For open-air views, there is a verandah too. In the elegant restaurant cars, the guests can savor world class delicacies and fine beverages in the cellar. 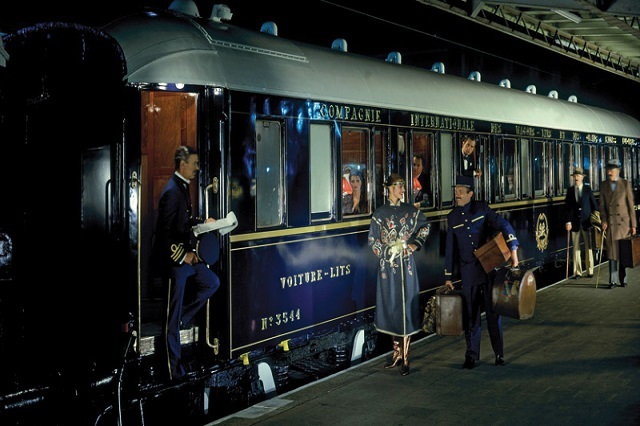 One of the most popular luxury trains in the World, Venice Simplon Orient Express with original vintage cars of 1920s is all about continental charm, flamboyance, pre-war appeal and superb journeys. The train journeys create life-time memories by running from Paris to Istanbul in a duration of 6 days, including halts at Bucharest and Budapest. A truly unique and luxurious travel experience, this train has wonderful cabins that have all the world-class comfort and boat of a rich décor. The quality of food and services on-board the train is matchless. In the restaurant car with unsurpassed décor, along with a fine French meal, the guests can enjoy music from a pianist. From the shop on-board, the guests can get their hands on special souvenirs. At the bar of Venice Simplon Orient Express, socialize with your fellow passengers while holding a glass of your favorite wine. 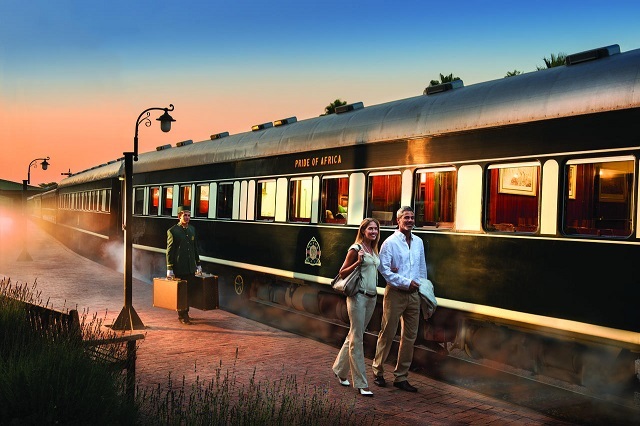 An amazing amalgam of the rugged feel of an African safari and traditional luxe, Rovos Rail is a luxury train of Africa that is known for creating unforgettable stylishness of past along with offering modern comforts. Memorable experiences begin from the stunning Edwardian-styled departure room and continue throughout the journey on this luxury train. At the lounge car, the guests can unwind and relax while admiring the scenery. From the backside of the observation car, treat your eyes to the lovely views of the surroundings. Staying in the air-conditioned and well-adorned luxury suites is surely a pleasure. There is round the clock service, special wiring area, a personal safe, a mini bar are some of the facilities. The dining cars with Victorian features serve a variety of food along with fine South African wines. 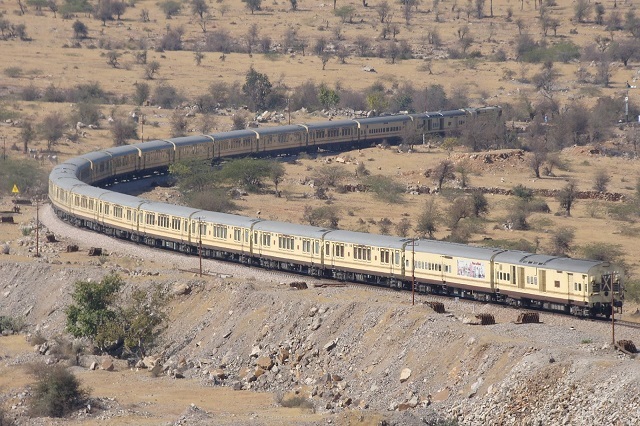 The first luxury train of India and one of the finest luxury trains of the world, The Palace on Wheels has been the mark of luxury train travel since 1982, and has been offering a ride in the post British Raj era, clubbed with classic Indian hospitality. This award-winning luxury train offers a week-long journey to some of the best destinations of the Royal Indian state of Rajasthan. Luxurious cabins, a spa saloon, a splendid bar, a sitting lounge area, and 2 restaurants (Maharaja and Maharani) are a part of this Indian luxury train. A total of 14 salons can accommodate up to 88 guests. Guests get a chance to explore the erstwhile princely states of India. Rich furnishings and upholstery, en-suite toilets, air-conditioner, electronic safe, miniature paintings, twin and king-size beds, a personal attendant/Khidnatgar (for each salon), sumptuous Indian and world fares are some of the highlights. 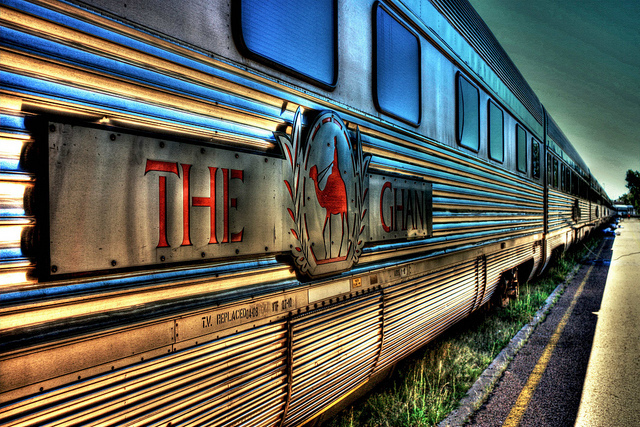 Traversing through Adelaide and going all the Darwin, The Ghan is popular for following one of the most extraordinary routes in the world. Connecting varied landscape with lovely naturel scenery and a sneak peak peek into the pre-historical times clubbed with modern conveniences for the passengers, are the highlights of this luxury train.Known to be an engineering marvel, this train takes you into Australia’s interiors offering memorable travel experiences by segregating services as Platinum, Gold and Red. The cabins are fully-equipped and the food served is lip-smacking, deepening on the category that the guests choose. The guests have an option of twin beds and king-size beds to pick from. The luxury train of Russia, Golden Eagle Trans-Siberian Express, one of the world’s grandest rail journeys, is the best way to spectate the beauty of Siberia. Launched in 2007, this train links east and west from Moscow over the Ural Mountains. Witnessing the expansive grasslands and the banks of the world’s largest freshwater lake is an unparalleled experience. Imperial Suites, Imperial Suites Stats, Gold Class, and Silver Class is the classification of the luxury suites of the Trans-Siberian Express where all the world-class facilities and services are provided. Boasting of a chic décor, The Gold Restaurant Car and The White Restaurant Car’ can easily accommodate 64 passengers at the time, serving scrumptious food and beverages to the guests. The Ornate Bar car is the entertainment zone, containing a piano and a pianist. Destinations: Moscow, Kazan, Yekaterinburg, Novosibirsk, Irkutsk, Lake Baikal, Ulan Ude, Ulaan Baatar, Vladivostok and Khabarovsk. 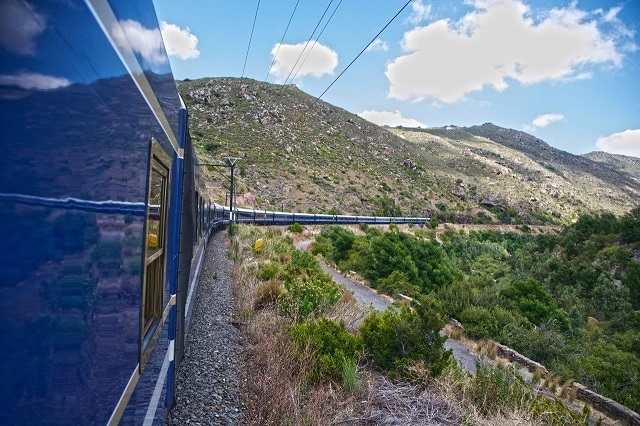 Awarded twice the Africa’s leading luxury train, The Blue Train offers two route- Pretoria to Cape Town and Pretoria to Hoedspruit. If you are on a tour to South Africa, do not miss any of these trouble-free 2-day lavish journeys. Starting in 1946, the train was refurbished and re-launched in 1997. There are 2 set trains. While one can accommodate 52 guests, the other can carry 80 guests at once. A sound proof observation car, 2 lounges and butler services are some of the highlights. The landscape varies from stunning mountains to arid desert and to the wild savannah grasslands. Even VIPs like kings, celebrities and presidents have not been able to stay away from alluring charm of the Blue Train, synonymous to a five-star hotel. 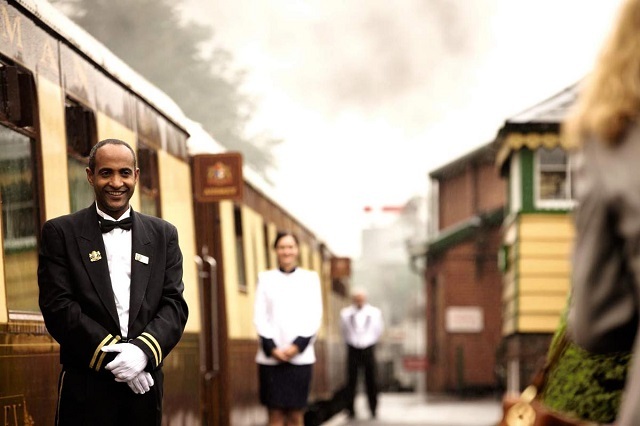 Formerly the Orient-Express British Pullman and sister train of the Venice Simplon-Orient-Express, Belmond British Pullman is a superb world luxury train that has an exhaustive list of journeys to choose from. These journeys commence from and conclude in London comprising of popular towns and cities of Great Britain. Most of the journeys have diesel engines while just a few have steam locomotives. This luxury train consists of 11 parlor cars, out of which one is a service car and 6 are kitchen cars. British Pullman can accommodate 252 guests and the carriage seats are divided between 20 and 26 guests in each. The carriages are original ones from the decades of 1920s and 30s, adorned with all the contemporary facilities and a décor that is inspired from art deco design, depicting colorful historical past. The views are lovely and the food orgasmic, during all the well-crafted journeys. Alluring views, fascinating journeys, fine dining, world-class hospitality and comfortable stay in deluxe accommodation, all this and much more is a part of the being on-board the Rocky Mountaineer. Experience the beauty of Canada and witness its cultures in the best manner possible by getting aboard this luxury train that has a 12-day adventure journey amidst Rocky Mountains. 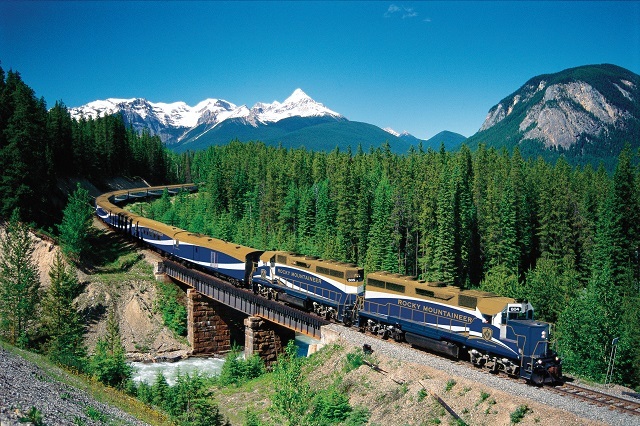 Awarded as World’s Leading Travel Experience by Train by World Travel Awards seven times, this has 4 categories of services (routes) – Gold Leaf Service, Silver Leaf Service, Red Leaf Service and Whistler. The services and amenities differ in all the categories. Recently, a new journey was introduced on a new route, called Coastal Passage. Destinations: Vancouver to Calgary, Vancouver and Jasper, Whistler to Jasper, Seattle to Jasper, and Vancouver to Whistler. Go on-board Belmond Hiram Bingham, for a span of 4 nights, 6 nights or 7 nights and explore breathtaking places, Cusco, Sacred Valley and Machu Picchu. 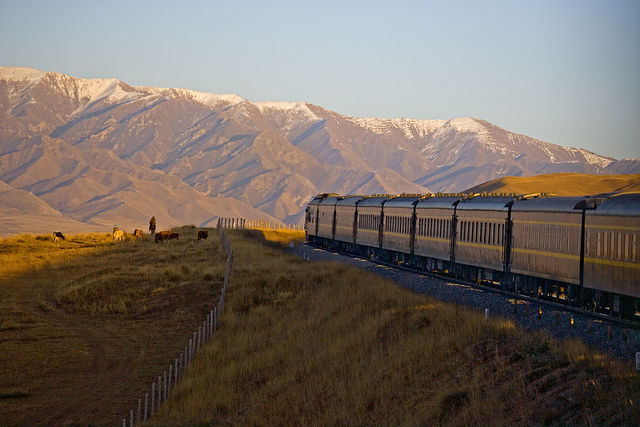 This luxury train offers 4 journeys- Essential Peru, Insiders’ Peru, Adventurous Peru and Unmissable Peru. Treat your eyes to the mesmerizing scenery of Peru. The train carriages, which are painted in blue and gold, can host up to 84 guests. The décor of the carriages are styled in the times of 1920s. This train assures magical memorable journeys to exotic places, clubbed contemporary conveniences and world-class hospitality. Opt for trips from Poroy, close the ancient city of Cusco, to the Sacred Valley, and the Lost City of Machu Picchu. This luxury train also comprises of an Observation car so that the guests can admire the scenery. The two dining carriages can accommodate 42 guests. Relish sumptuous food at the restaurants and enjoy fine beverages at the Bar car.